Every year I wait eleven long months… to wear my Christmas sweater. You just can’t wear a Christmas sweater just any ole day of the year. There’s just something not right about wearing “Let it Snow!” in July. And there is something very beautiful about a Christmas sweater. My birthday is in December. Smack-dab-in-the-middle of December, which is just about the worst time to have a birthday because everybody’s too busy to celebrate you. We’re all too busy taking exams, going to kid concerts, and party hopping. Now I grew up in the 80’s so my mother gave me a new Christmas sweater every year from 1985 to 2005, when she finally decided I just might have enough. I had an entire wardrobe of candy cane and reindeer infested sweaters. My teenaged girls started making fun of my beloved Christmas sweaters. Please try not to be shocked. They really are nice girls…most of the time. They don’t realize it, but they’d be even cuter in a Christmas sweater. Their loss. 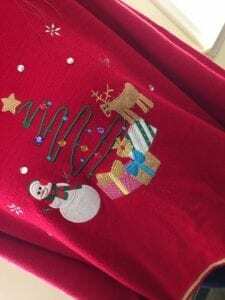 Well the sweater I’m wearing is my last one, my last hold out against the stigma of anti-Christmas sweater frenzy that has taken over the fashion sense of otherwise good Americans. 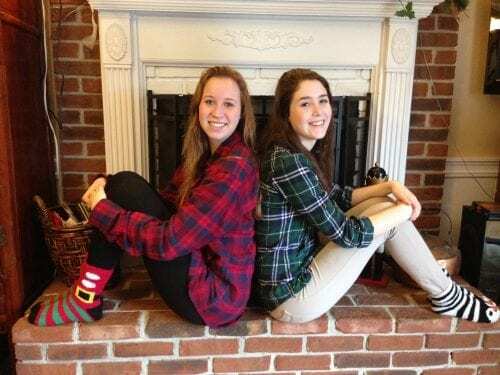 My teenaged girls, Lord bless’em, have convinced me… NO they’ve brainwashed me…that these works of art are NO LONGER in style! Well call it pride, but being the mother of teenagers, I really don’t like to go places and have my girls embarrassed to be seen with their mother. 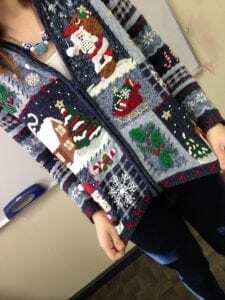 I do plenty enough of embarrassing things without wearing my Christmas sweater. So I have down-sized my Christmas sweater wardrobe and this is the last one. It’s only 15 years old–it’s still got a lot of life to it, cause I only wear it in December, right? You know, I just can’t figure out how something this cute can go out of style that fast. It might be a little dirty but I can’t wash it or all the bling will fall off. And I’ll keep my sparkle, thank you very much. Just a little spritz of perfume and no one will know the difference. And that old chocolate stain blends right in with the little felt packages next to gingerbread man. And as soon as these girls are out of the house, I’m going to get some more Christmas sweaters. I’m just going to wear them anyway cause I like them and that’s that. 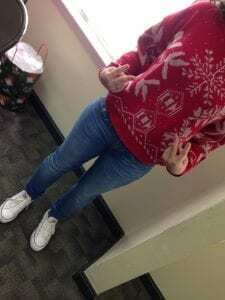 Funny enough, just yesterday one of my girls wanted to borrow my Christmas sweater. Finally! I thought they have seen the light. You know, if you wait long enough, things will come back in style. They wanted it for an Ugly Christmas Sweater party. I’m not going to even begin to describe how offended I am. There is a glimmer of hope for the resurgence of the Christmas sweater. 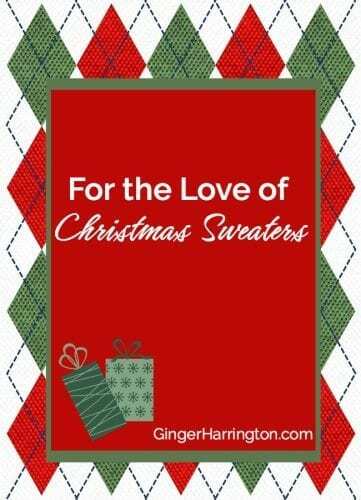 Oddly enough, it is the men who have caught the love of Christmas emblazoned on a sweater. Yes, you read that correctly. And as men often do, they just have to one-up the women, taking the Christmas sweater to the suit. Of course they aren’t brave enough to say how they really feel, calling it The Ugly Christmas Sweater Suit. Men are just a little slow to catch on to the love of the Christmas sweater. We can think what we like, but these fashion statements sold out on Cyber Monday and they are now taking pre-orders for next year. You can reserve one right here. 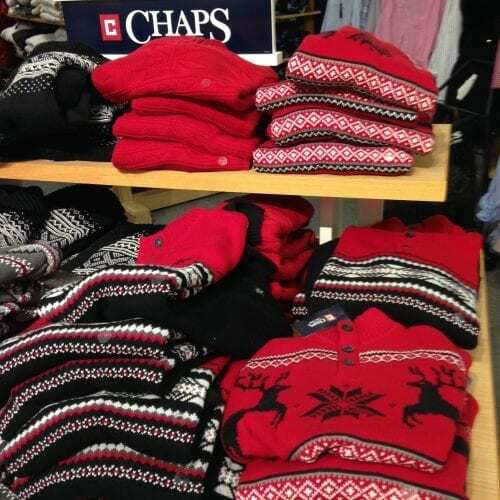 For those that are not over the top, or just have to have a Christmas sweater to wear this year, they still have some of these sweaters at the store…in the men’s department no less. Can’t find a Christmas sweater in the women’s section. For shame! So here’s my last stay-joyfully-sane-this-Christmas tip. Don’t let anyone guilt you, harass you, or embarrass you out of fully enjoying your Christmas sweater this year. <Tweet. This month is crazy enough without having the joy of your favorite Christmas sweater. So that’s it, Sister, head on up to the attic and unpack that lovely sweater you’ve secretly been longing to wear. I know you didn’t have the heart to get rid of yours either. So let’s wear them with pride! Because we’re taking back the Christmas sweater. In fact, I just might wear mine all winter long…because I’m just a fashion renegade. Because everything is better in a Christmas sweater! <Tweet. Get Ready, Get Set, Get Christmas! Joining with the bloggers at The Weekend Brew, Blessing Counters, and The Saturday Soiree Blog Party today. 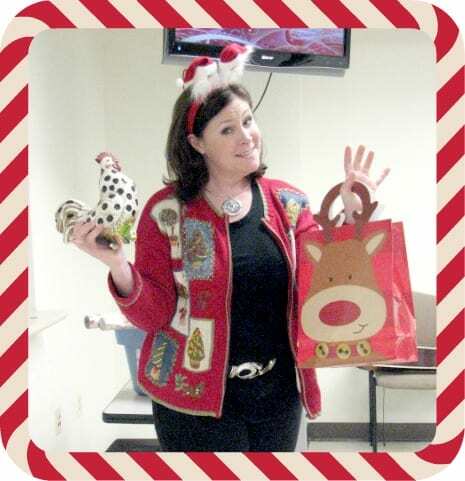 Christmas sweater, humor, Stay-Sane-This-Christmas Tips. Bookmark. Mission accomplished! So glad to make you laugh. Merry Christmas! You’re the best, Ginger! Loved this – made me chuckle – and with what we have going on right now, that, my friend, is a miracle 🙂 BTW – my mom STILL gives me Christmas sweaters, and vests, etc. I think I may share this on FB and tag her. Do you think she’ll get the hint, lol. Maybe I’ll direct her to the men’s dept this year 🙂 Merry Christmas to you and your family. I always enjoy my visits here and don’t get here 1/2 as often as I’d like. Blessings. You have totally made my day. What an honor to make you laugh and smile in the midst of things that weigh hard. Be thankful for you Christmas sweater giving mama and wear them with pride! Have a happy New Year! Love this! I too had a box of Christmas sweaters. The only one I’ve saved is very understated with little or no bling. You’ve inspired me. I may just have to visit a consignment store and find myself a little sparkle. Thanks for making me smile! Blessings and hugs! Always happy to bring a blessing and a smile. Have a wonderful New Year! Oh my word this cracked me up! We are considering making our next year’s annual Christmas fling an “ugly sweater” theme and doing semi-tacky center pieces etc. etc. Not sure the ladies will totally buy into it though. We’ll see. I might ask to borrow a sweater if that’s okay. HA! Just Kidding. Go for it! Folks will get into it. So happy to bring you a laugh. Love the humor on your blog. Blessings!